Model: The Lenovo Yoga 720-12IKB-81B5003WSP is an ultra-portable convertible with a very compact size thanks to its 12.5-inch screen and the reduced width of its frames. 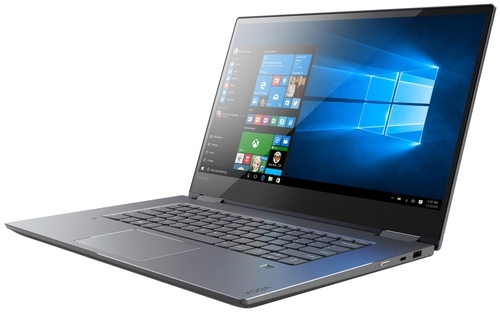 With a weight of 1.18 kg, it is noticeably a strong competitor to convertible ultraportables like the Acer Spin 5 SP513-51, which is 1.6 kg. In addition to being lightweight, it is a relatively thin model with a thickness of less than 16 mm. The elegant design of the Yoga 720-12IKB features steel-gray surfaces on both the work area and the base, while the display frames, which have a glossy finish, are the only black parts in the casing. Thanks to its mixed construction in aluminum and plastic, the solidity of the casing is quite good, offering adequate stability in the work area of the device. Its 360º hinge system, which allows this model to have the functions of tablet, tent or lectern apart from the laptop, keeps the position of the screen stable in almost any situation. The processor of the model is a low-power Intel Core i5-7200U microprocessor at 2.5 GHz. It offers improved performance when carrying out advanced functions, which is suitable for beginner or advanced level users. The Core i5-7200U would also be compatible with the second version of TurboBoost technology, which allows it to increase its speed to a maximum of 3.1 GHz. It has 8 GB of DDR4 RAM at 2.133 MHz and an SSD of 256 with M.2 interface. 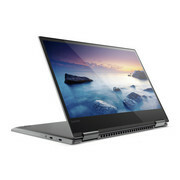 For display, it offers 12.5-inch IPS panel with Full-HD resolution (1,920 x 1,080 pixels) and LED backlighting, offers good brightness value, a high level of contrast and very wide viewing angles. The anti-reflection treatment of the screen does not avoid environmental lighting reflections completely. However, it reduces them, which allows the use of the laptop in very bright areas without major problems. The low capacity of its battery, which is 36 Wh meaning that the autonomy of this model is not particularly long, barely exceeding 5 hours of light use with Wi-Fi navigation. 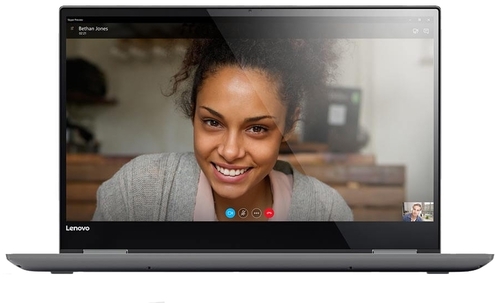 It is delivered with Windows 10 Home (64 bits) installed and with its corresponding license. It also has good networking capabilities, being compatible with WiFi-AC and Bluetooth in its version 4.1. The main weakness of this model lies on its limited selection of ports, which is reduced to only headphone jack and the power supply on the back of the left side, while on the right side there is a USB 3.0 port of type A and a USB 3.1 type C port compatible with DisplayPort that can be used to connect the device to an external screen. 12-inch laptops might not be for everyone’s cup of tea as it favors more towards productivity rather than entertainment. 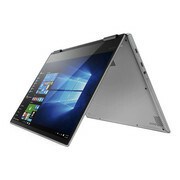 However, they do suit business people well and for those people, the Lenovo Yoga 720-12IKB is definitely a good choice. 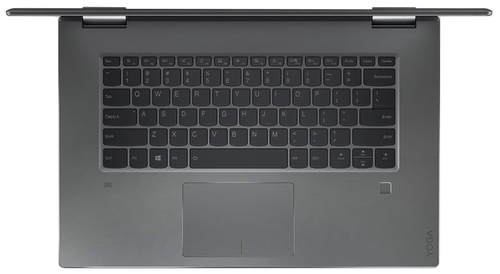 It is a mid-range ultraportable laptop capable of handling all the serious tasks that are needed in a business.